Sometimes you want to do more than just drink with your mates. And that's okay. It's important to have some diversity in your life. So how about you drink with your mates and destroy them at a game of table tennis, too? Or maybe you're more of the darts type? Some of you are in to your mini golf, we'd assume. Heck, who wants to reenact James Jordan (read: Gemma Collins) on this year's Dancing on Ice? We know we do. 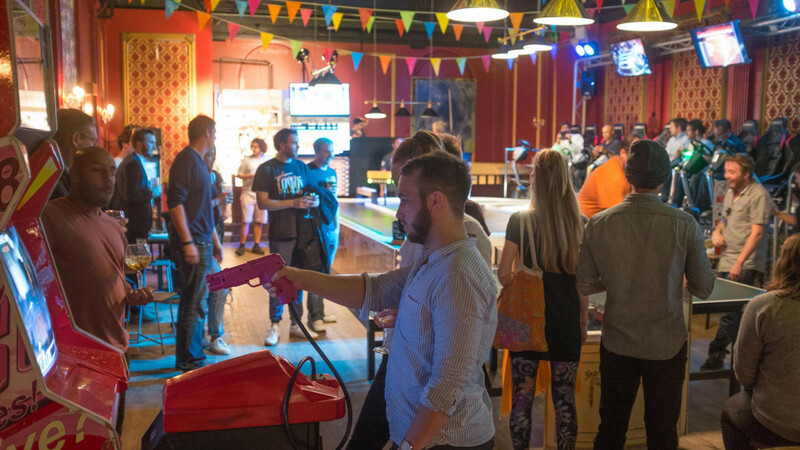 London is home to plenty of games bars and venues, all of which are sure to pack a punch (of fun). 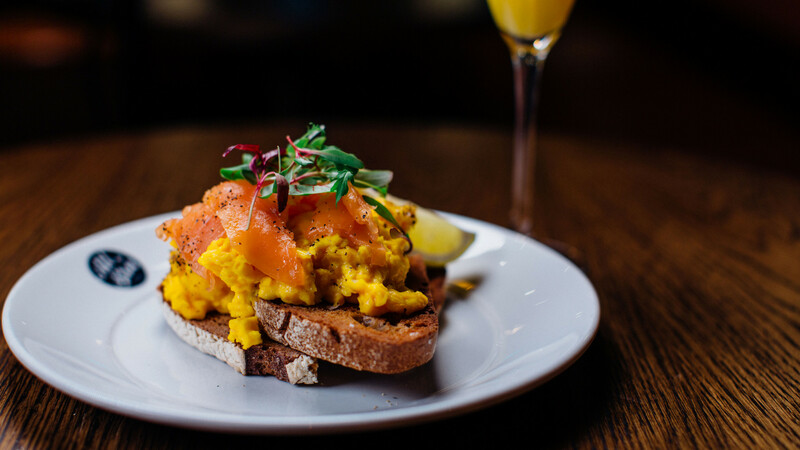 And whether you're there to release some stress after a long day of listening to your boss drone on about KPI's and product returns or just looking for a drinking den with a difference, know that you can visit one of these bars and chow down on some pretty decent food and excellent cocktails while you're at it, too. When it comes to ping pong, what you need is a table to yourself, and enough refreshment to fuel your race to victory. 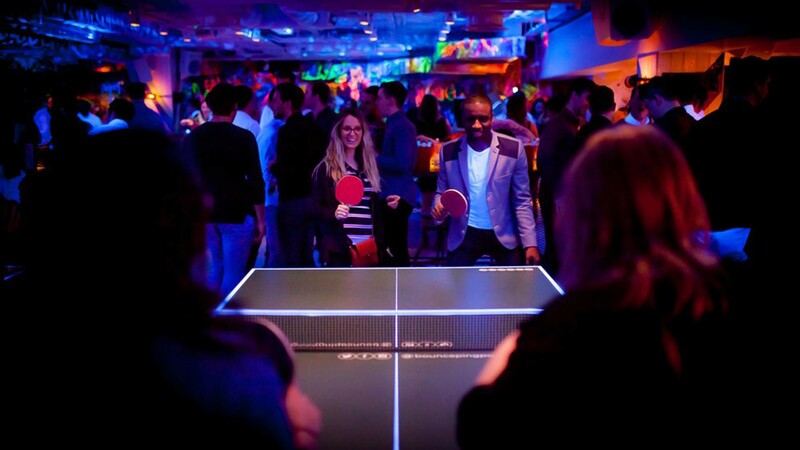 Enter Bounce, where you can conquer the sport with a paddle in one hand and a beer or a slice of pizza in the other. It's located on the exact spot where Jean Jacques III designed and patented the sport, a fact you may or may not want to use to distract your opponents. If you distil the joy of a child's massive birthday party, subtracted the free party bags and then dosed everything in alcohol, what would you get? All Star Lanes, of course. The bowling alley's tagline is Big Eats, Hard Liquor and Long Lanes, so don't expect anything less. 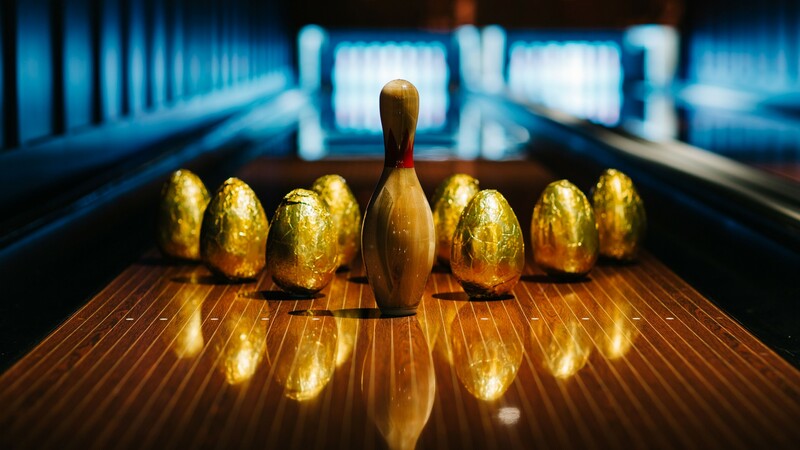 Choose from one of four locations in the city and put your bowling skills to the test. While navigating Waterloo Station at the height of rush hour might sometimes feel like a nightmarish game of dodgeball, under the arches, on Leake Street, better (and mildly less aggressive) games are waiting to be won. 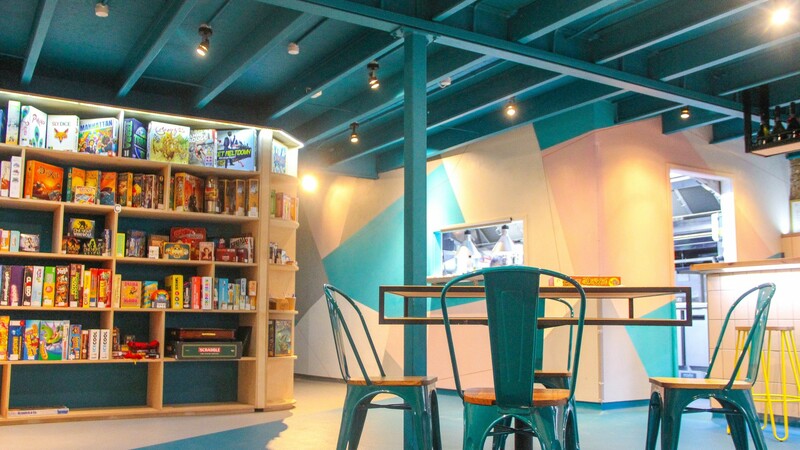 Draughts Waterloo plays host to more than 500 board games, a healthy stock of craft beers and tasty morsels from Dalstonites (yes, they're a long way from home) Jones and Sons. Find out who done it in the library with a Kapow! Pale Ale in hand then move on to Hungry Hungry Hippos with a side of tacos for the grand finale. This chic cocktail bar serves drinks with a distinctly French flavour – expect plenty of pastis and absinthe – while food follows the Gallic trend, too. 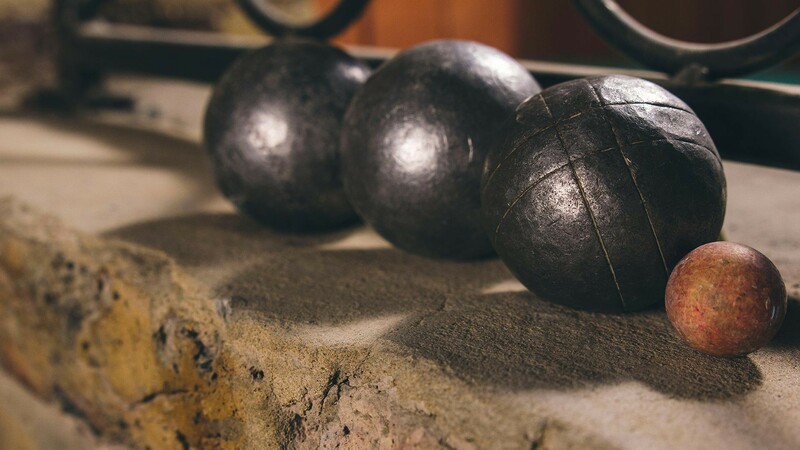 Complete the picture of an afternoon spent in Provence with a game of pétanque (a form of boules) on the UK's only indoor pétanque court. As you'd expect, all of the wine is from France (with a focus on Provence and Corsica in particular), and drinking plenty of rosé is non-negotiable. 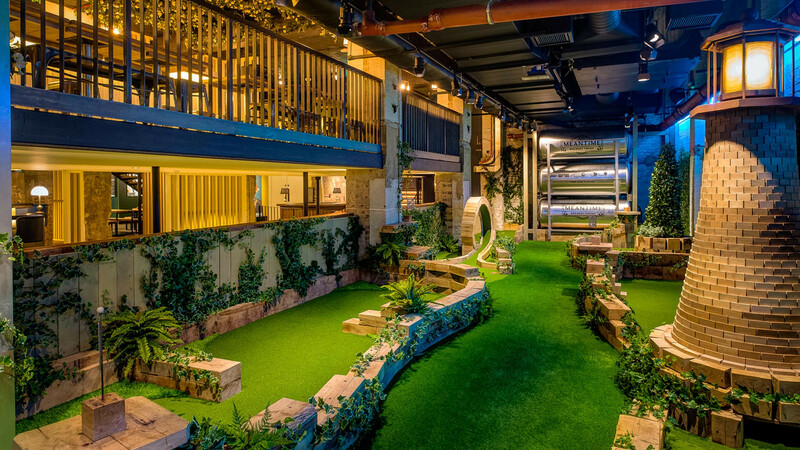 Forget the "Keys in the bowl, everyone," – this Swingers bar is strictly about golfing. But while you might associate crazy golf/mini golf with bumpy seaside courses, this one has a distinctly more elegant air, course-wise, and a bit of a rowdy one in terms of atmosphere. 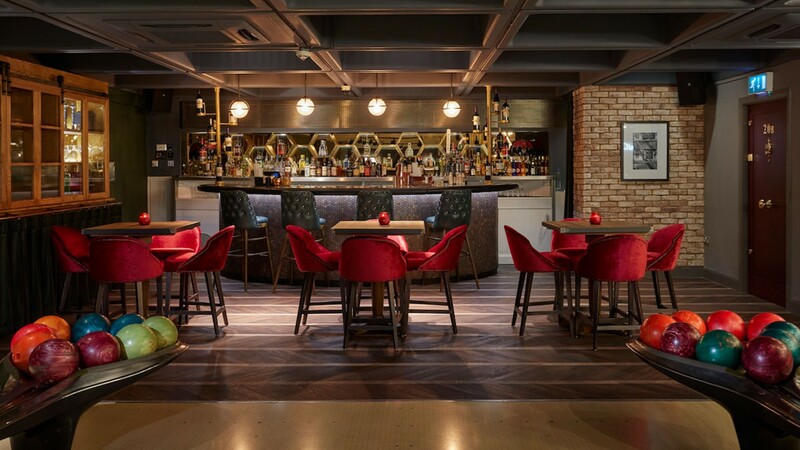 The setting is based on a 1920s bucolic club house set in the English countryside, although pumping music and killer cocktails mean it's distinctly London at the same time. 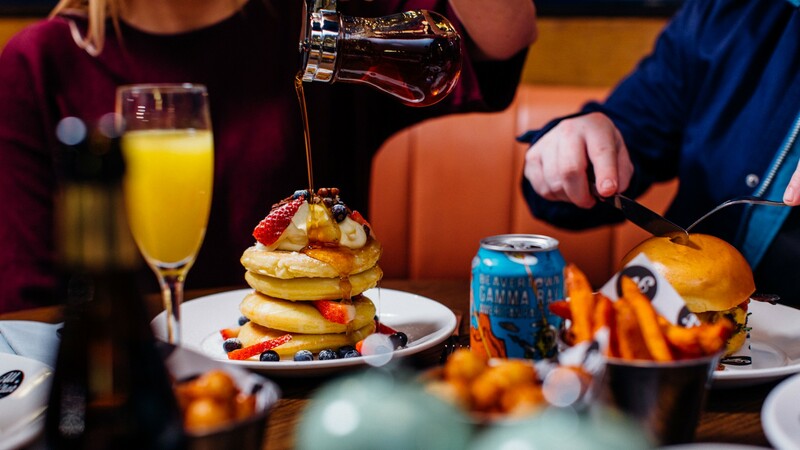 When you've completed your round, sink a drink on the gin terrace, and refuel with food from a rotating line-up of some of London's best restaurants and food traders. 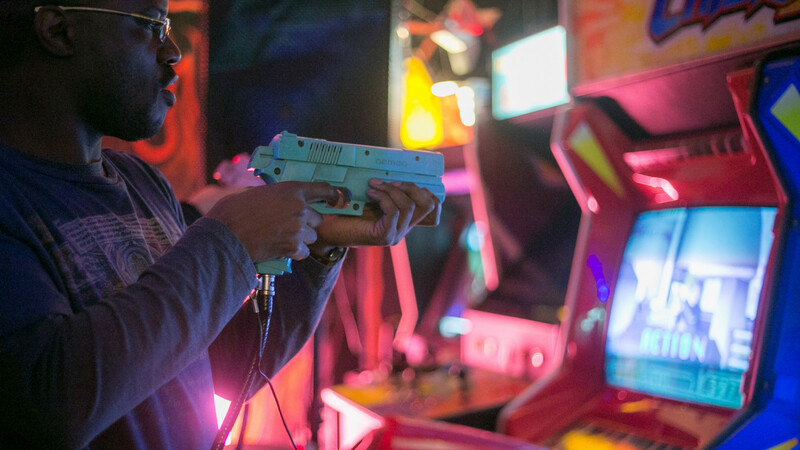 There's nothing more old school than an arcade, but bring some seitan 'chicken' wings and a fresh pint of Mondo IPA into the mix and suddenly you're scoring 100 on the modern day hipster hit list. 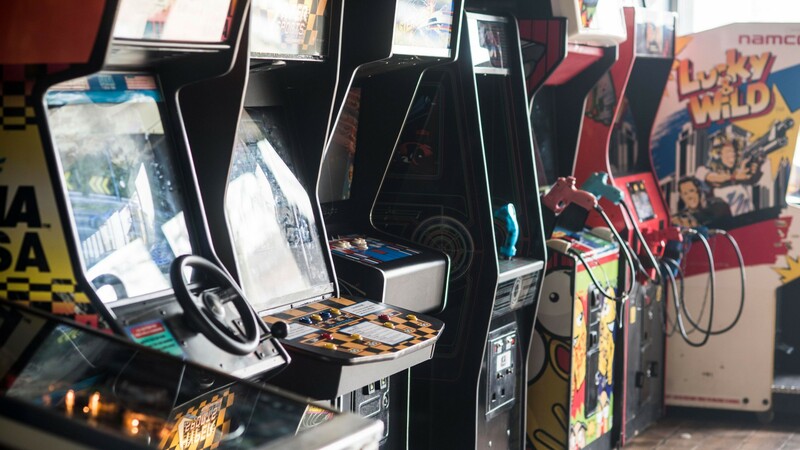 With 15 original arcade cabs, 10 retro consoles and plenty of craft beer on tap, there's no denying that The Four Quarters on Peckham's Rye Lane is bossing it on that front. Plus, once you've bruised your thumbs frantically running away from Blinky, Pinky, Inky and Clyde, you can always stick around for more, when after dark the hidden basement cocktail bar turns into a club. The fun never stops at Four Quarters, apparently. For those of you not raised on Dreamcasts, Game Boys and SNESes, the Loading Bar (geddit) is the place to catch up on a childhood you spent playing outside. For the rest of us, it's a haven of glorious nostalgia – from the chunky retro arcade games of the 1980s to the slick, immersive console games of the present day, it's got you covered across the gaming spectrum (including, we're assuming, the actual ZX Spectrum).. The best thing? They're all free – all you pay for is your drinks. Which sounds pretty sweet to us. Ice, ice, baby… All right, stop. Collaborate and listen. 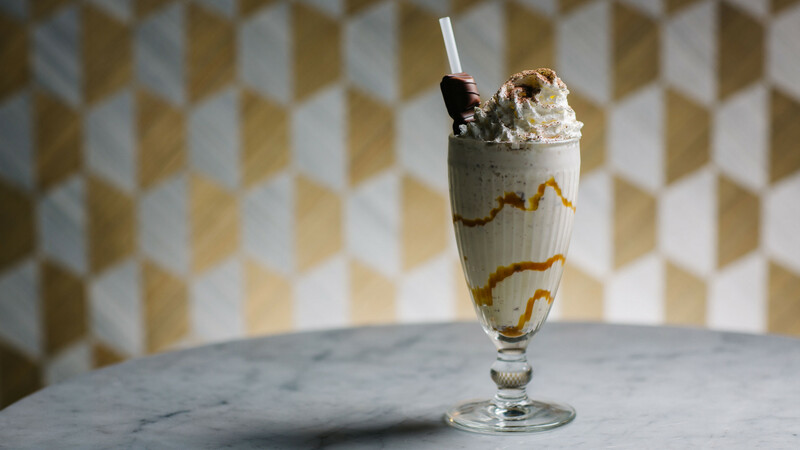 There aren't many other places like Queens Skate, Dine and Bowl in London where you can have this much fun and load up on drool-worthy burgers and killer cocktails while you're at it. 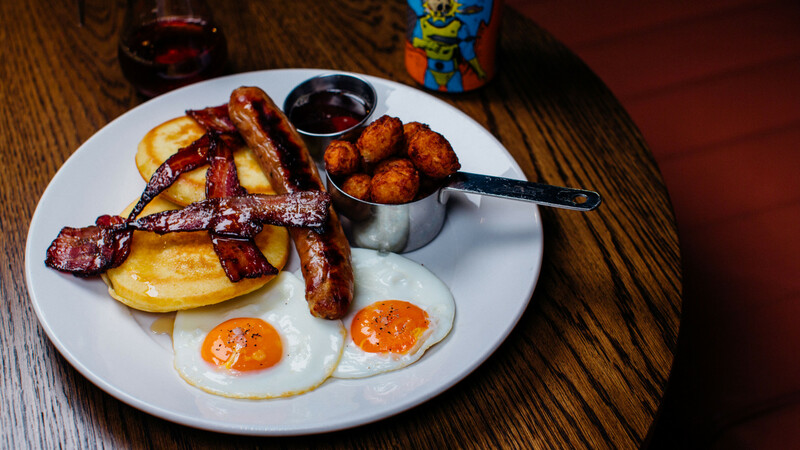 Home to two football pitch-sized all-weather ice rinks, twelve bowling lanes and tasty treats from MEATliquor, you can try your hand at anything from bowling to ice karting or plain old ice skating (and just try not to break any bones while you're there). 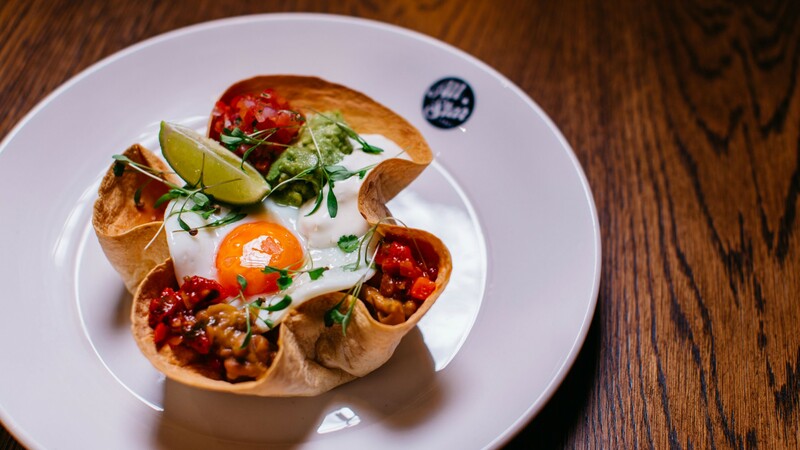 If you live in North or North East London, a night out at Rowan's is very much a rite of passage. Aside from the possibility of bumping into a crazed Lydia Winter on the dancefloor, it's home to arguably the best bowling lanes in London (over, improbably, two separate floors). Aside from the bowling, there's a massive area full of air hockey, arcade games, ping pong tables and loads more besides. All of which get progressively more fun the drunker you get, obviously. Drinks-wise, it's a bit of a sticky-floor kind of situation, but you can get Wolf Rock beers, negronis and cheap G&Ts, which is good enough for us. 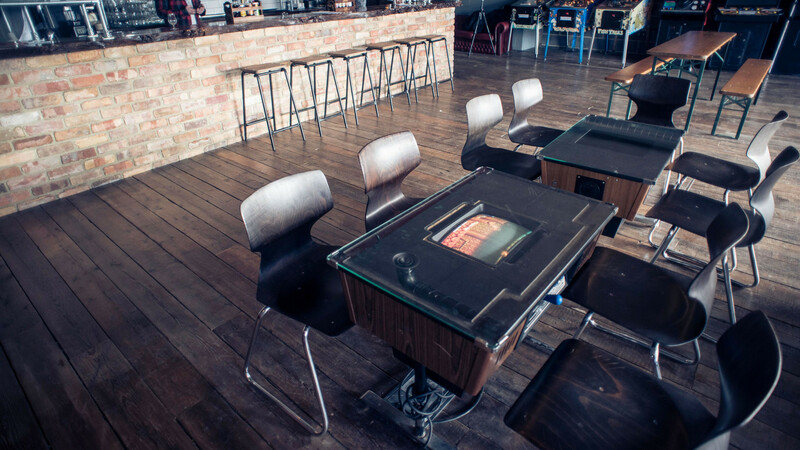 Forget crap quiz machines, moody pool tables and unloved Jenga – this Battersea pub has an entire floor dedicated to gaming: think vintage arcade games, crazy golf, pinball, and MINI MOTOR RACING. Recover from the excitement with a beer brewed on-site and food including short rib tacos and ham croquettes. There's a VR game station, too, so if you want to work up an appetite by fighting some zombies, you do that. 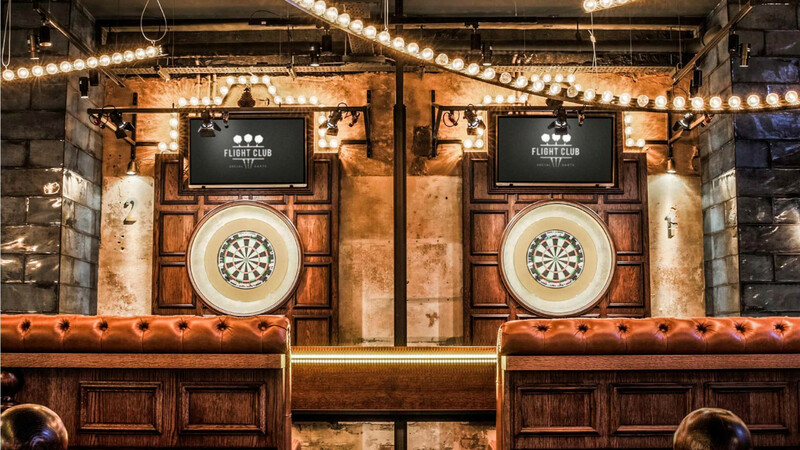 Ever wanted to play darts but worried that your skills might not match up to the locals, (or that you won't be able to resist the urge to shout out "One hundred and eiiiiighty!")? 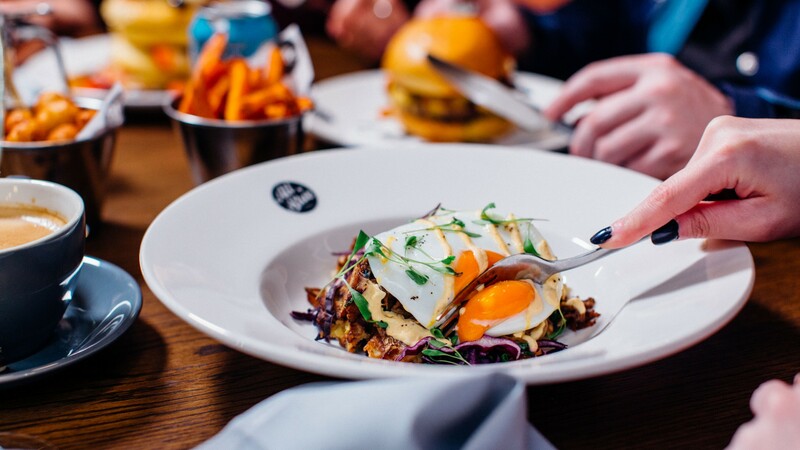 Either way, Flight Club is a great shout for a group outing: hone your technique within the comfort of your own 'oche' (a private area for up to 20 with your own dartboard) and order sharing pizzas, burgers, fries and cocktails too. Like your own mini pub. But better. Ballie Ballerson isn't for everyone, but then again not everyone likes playing shark attack in a huge adult ball pit in Shoreditch. And that's just fine. Some of us are Great Whites, others just minnows. Whatever you settle on the big ocean scale, just know that Ballie Ballerson is home to one million neon-lit balls, a dance floor and a cocktail that goes by the name My Dad Wrote a Pornstar Martini. You get the vibe.